They started offering salary loan earlier known by Pinoys as the ATM loan. This type of loan had a system of collection which is through salary deduction and is usually accompanied by surrendering the salary ATM card before cash loan is released to the borrower upon approval of the application. Philippine lending companies as they grow offer the convenience of putting up different offices and branches where the borrowing public is. As part of the this company's commitment to give easy application service, they have been aiming to add more branches is strategic areas in Metro Manila. Below are just some of the popular destination if you are looking to apply for personal loan. Although very new to me as a loan agent and consultant to banks and private lending companies in the Philippines, loan products by Bestloan is never really different when it comes to mechanics. Qualification of credit borrowers and processing of application is the same as how it is with banks. The only difference may be is that they have a different database used in terms of checking borrower credentials, banking credits, court cases and whether a creditor is of bad credit status. While most banks use Bankers Association of the Philippines (BAP) database, there may be times that discrepancies may occur with regards to results. This enables some borrowers to get a loan approved even if they have bad credit and may be the start for a chance to loan consolidation. Comparing with bank loan offer like the credit card loan, this type of loan in the early 80's offer super fast approval and release of cash proceeds. Today, it's become different. 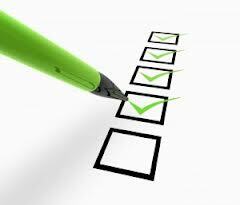 It takes complete processing procedures to come up with an approval. In relation to credit mapping or C-Map, Bestloan have decided to offer different types of loan products. Each have its own slack or strict policies with respect to c-map. 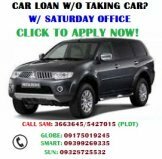 Compared with other lending companies and banks, usually, a collateral loan such as car loan and house and lot loan would yield a slightly easier qualification and would sometimes allow borrowers to get approved of an application even if they have c-map. 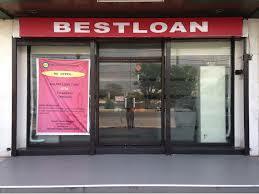 See different personal loan product offers by Bestloan Philippines Credit Corporation below. Basic requirements are easy to produce and therefore, it is easier to apply for any of the fast loan offers by Bestloan. Below is the list of documents that a loan borrower or applicant needs to submit to any branch. Disclaimer: Any or all information found in this website which may be but is not limited to photos, words, paragraphs, audio, video may coincide with existing details or information found on the internet and is exclusively for purposes of information only (FOI Bill). They are properties of their respective owners, lenders, brokers, lending companies, banks and the like. We do not represent nor claim at any given time that we own, is related to or is entitled to represent any company, bank, person or entity in the lending industry. FastloanPh.Com is a Philippines based personal website used as a lead generation for pooling clients only for the following loans - OFW / doctors / seafarer / migrants / car or vehicle owners and real estate owners. . We do not currently offer personal loan for any locally employed Filipinos. Furthermore, we fully disclose that it is not our fault if we get found through online search with different terms, phrases and keywords which may relate to your business or company. It is your sole responsibility to make sure you are on the top list for your own target keywords and terms or phrases. Do not blame us for your shortcomings and faults. Do your responsibility and job in promoting your business well as we do ours. Otherwise, if you know or have any content found on this website and you want them removed, please email us a request together with your proof of ownership through proper representation at info.fastloanph@gmail.com. We would be glad to have it/them removed.